After we spent a couple days in the sun with the biggest Buddhist structure in the world, we moved across town to see what Hinduism had in store. 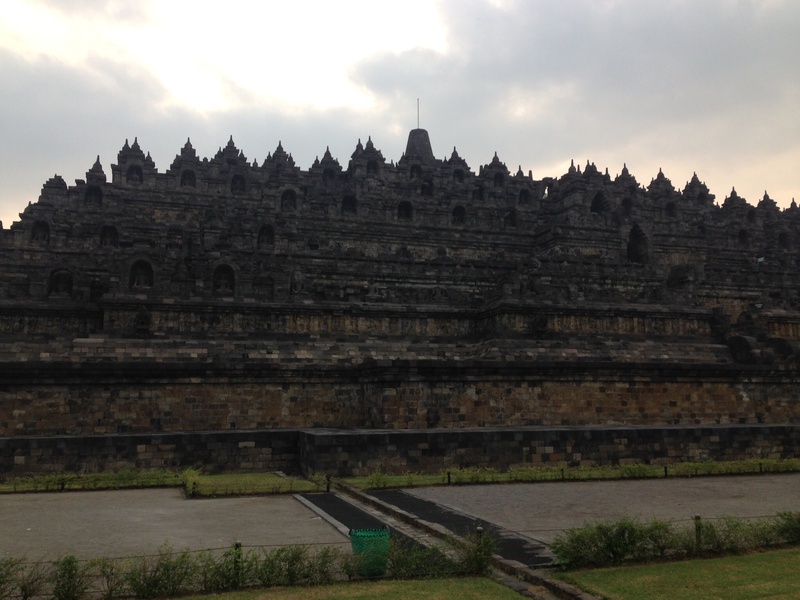 Interestingly, like Borobudur these structures were also built in the 9th Century. 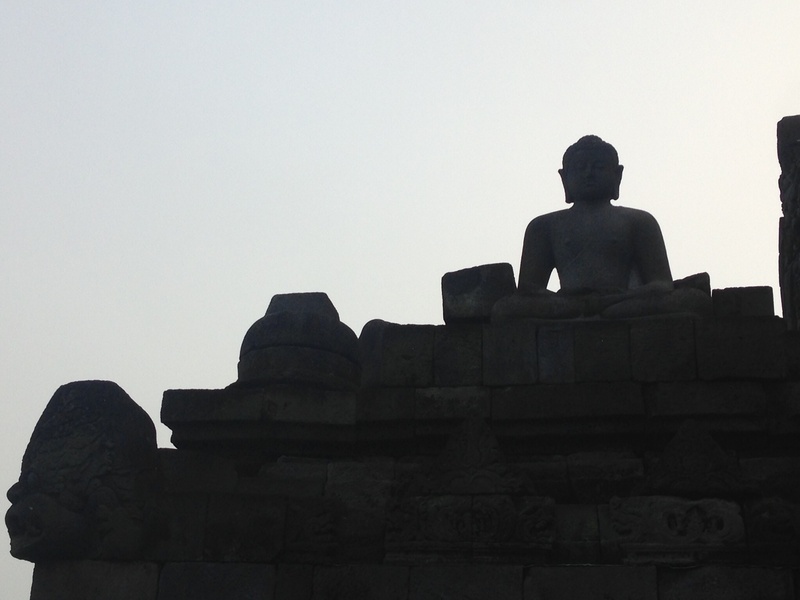 Some historians say they came to be because Java’s Hindu dynasty at the time, after seeing Borobudur said: “Anything you can do, I can do better”. In other words, it was their entry in a cross-town religious build-off. This may be the case. 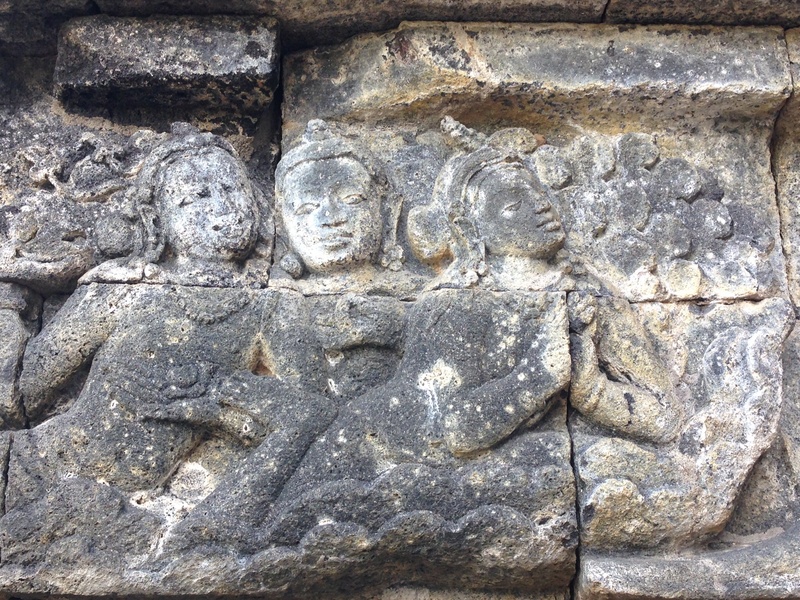 However, there’s also evidence that in the 9th Century, Indonesian religious groups weren’t necessarily rivals. 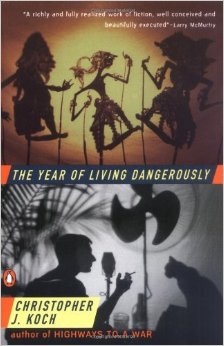 Apparently Hindus and Buddhists socialized with each other, often mixing ideas, and showed tolerance for the other. 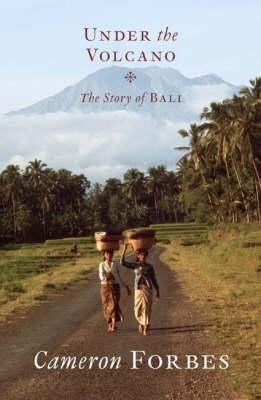 This may explain why Bali’s version of Hinduism is unique, incorporating Buddhist elements, and other native Indonesian ideas. 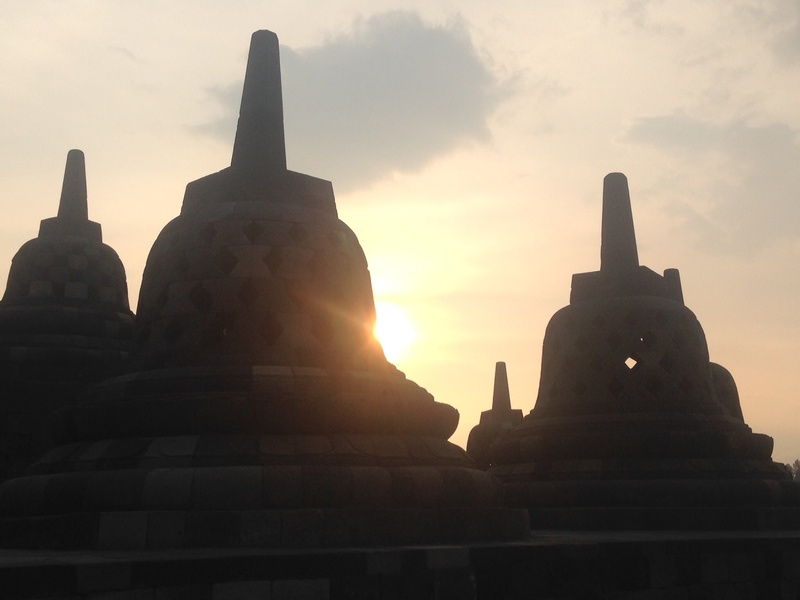 Plus, on a larger scale, religious tolerance in Indonesia can also explain why both Borobudur and Prambanan weren’t torn down after Islam became the dominant religion starting in the 16th century. 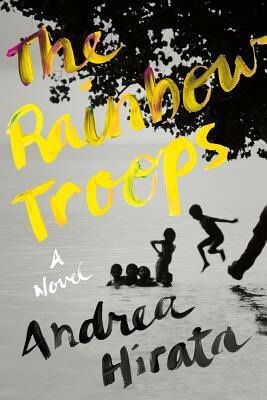 I was curious about this, knowing structures in other countries had been stripped down, as an attempt to make a country’s dominant religion shine brightest. 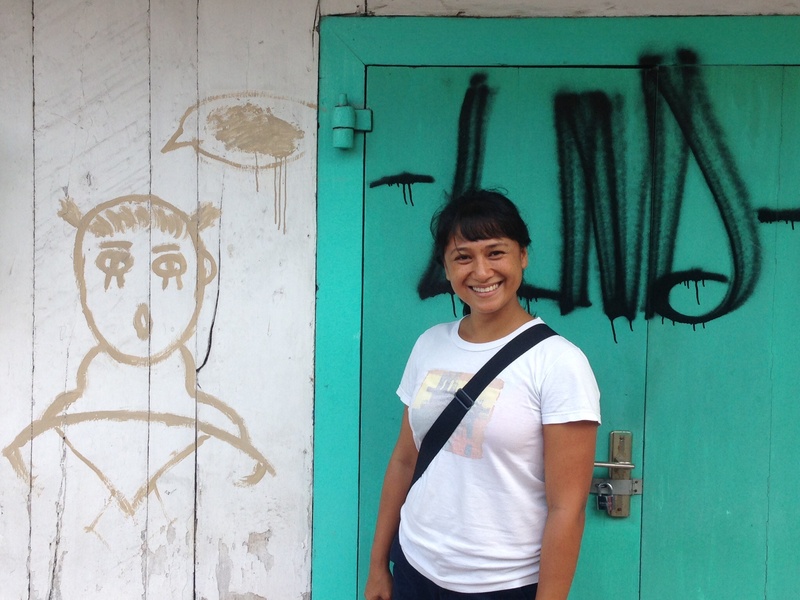 I learned in Indonesia, however, there’s an element in the culture that values its heritage, accepting it as being part of the story of the country. 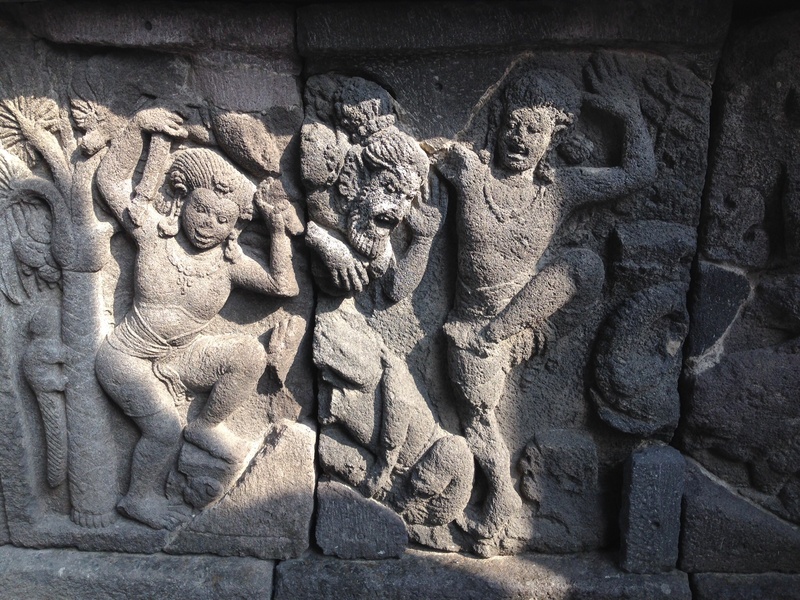 Of course, there are exceptions – a fundamentalist Islamist took it upon himself to try to rewrite history by bombing parts of Borobudur in the 80s. Nevertheless, the majority of the population, as I understood it from speaking to locals and reading up on it, value these sites as part of their cultural history and so are beacons for domestic travel. 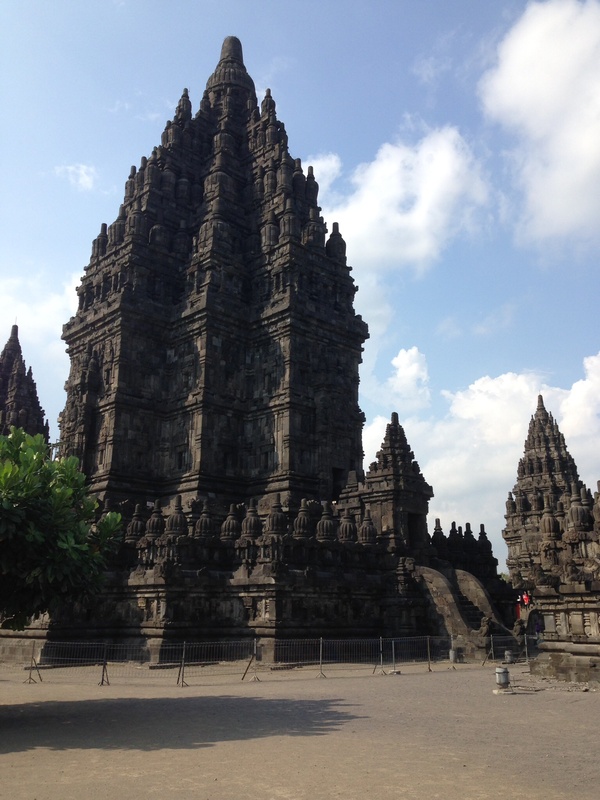 And yes, as I’m sure you’ve wondered – Prambanan too is under UNESCO’s protective umbrella, giving it more cover from deterioration. Thankfully they didn’t turn around mid-camera click. 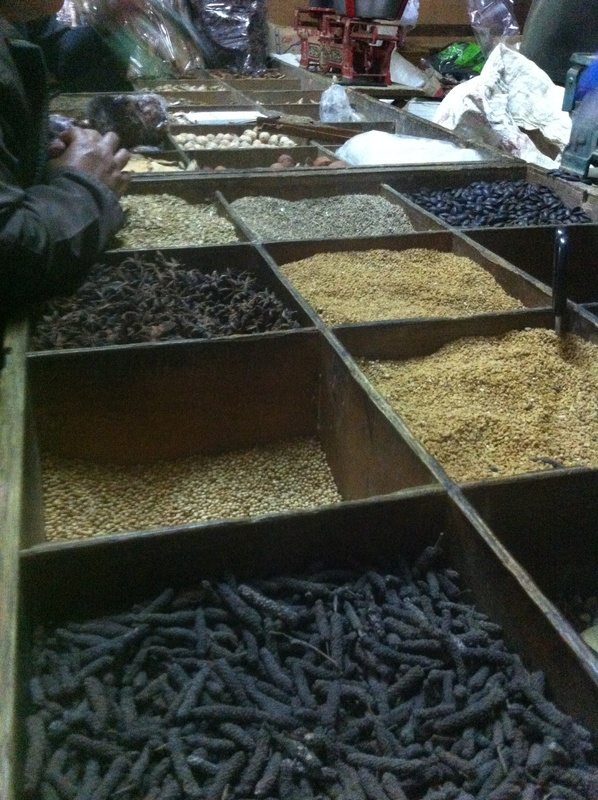 then hopped off to tour a huge outdoor/indoor market. 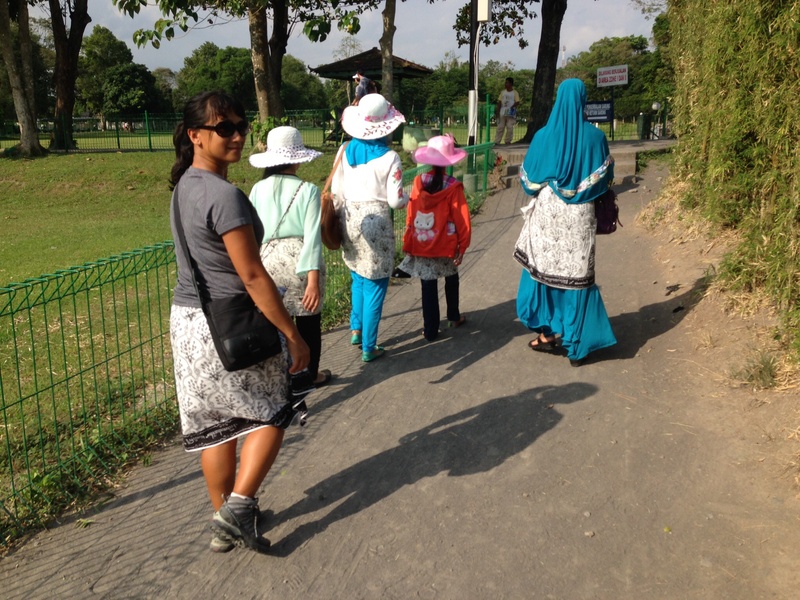 We arrived to a mass of people, who were busy shopping for food as it was nearing the final day of Ramadan – Eid-al Fitr – on which there would be a huge celebration. 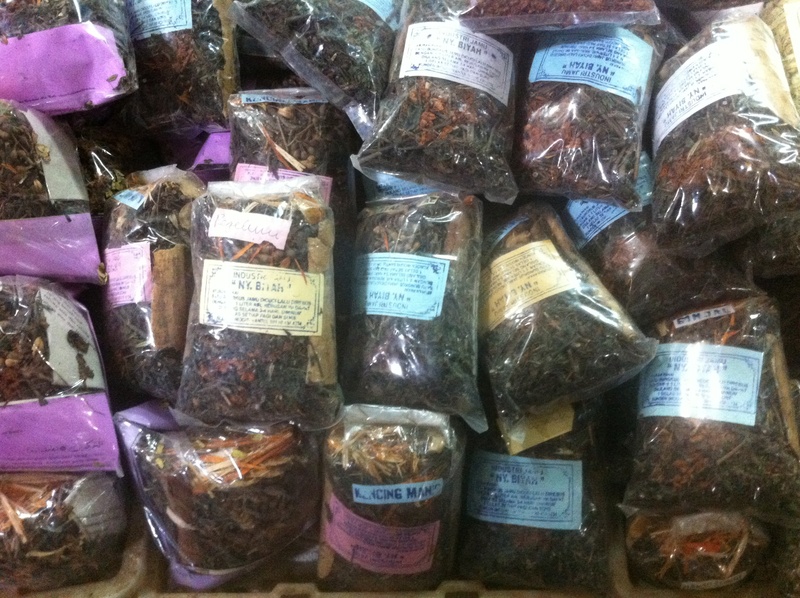 In search of spices, we walked into a maze of market tunnels and soon got lost. A merchant, undoubtedly seeing the creases of concern on our foreheads, approached us speaking English and asked us if he could help. Immediately our defences went up, convinced he had a scam in the air, otherwise why would someone actually be nice to us? (We, the cynics!) After he agreed to show us where the spice market was, we carried our cynicism the entire way, waiting for him to share his punchline: “Okay. That’s $15 please” or “Now you buy something from me”. The shoe eventually dropped. After tasting a unique pepper-like spice, we decided to buy 100grams. He quoted the price back to us, and we both thought it was a bit high, though not obnoxious, so wrote it off as the cost of his tour and bought a share to bring with us. As far as shakedowns go, I thought it was a light fleece. 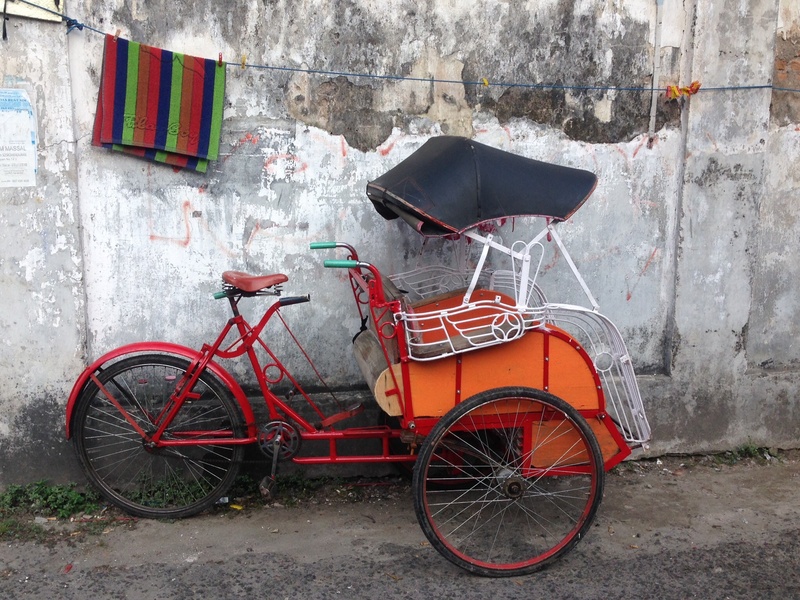 That brought an end to our two-month Indonesian odyssey: from Bali to dragons to Buddha to beaches. Now we were looking ahead to our next stop where we’d be living with a bear-sized German shepherd, two horses, two peacocks, 12 chickens and 1 rooster all together on a small 8-kilometer long island off a not so little continent called Australia. 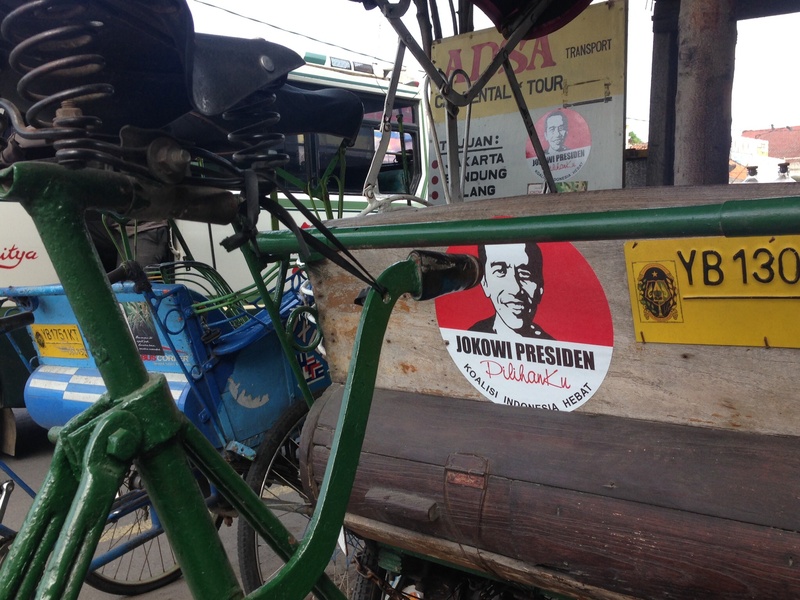 The last time we crossed paths, he was for sale in a shop window in Ubud. Now, we’re in the largest Muslim country in the world standing on the largest monument to his memory ever conceived. Wherever we’ve traveled in Asia, it seems Buddha is close at hand, which also seemed to be the main point these architects wanted to get across when they shaped this massive ode to Monsieur perma-grin. 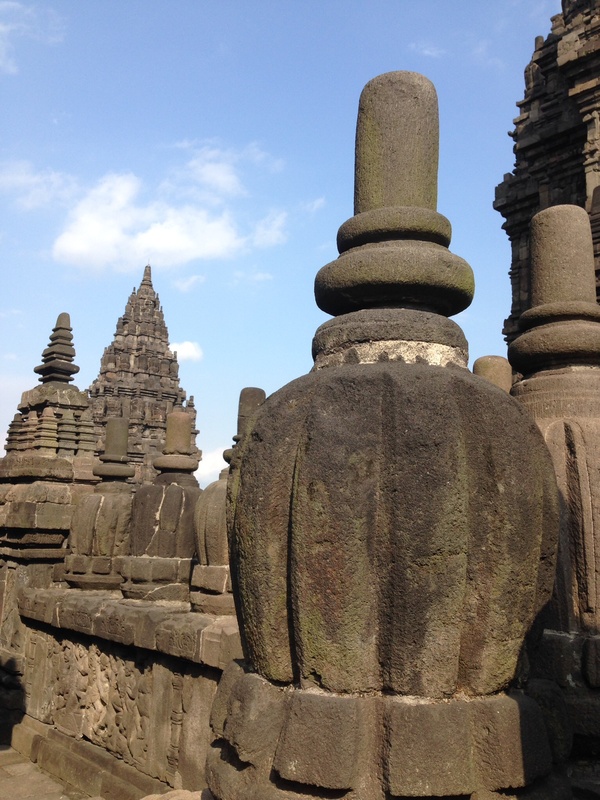 Called Borobudur, this stupa was chiseled in the 9th Century by Javanese Buddhists who crafted something so detailed and meticulous, in later years they might have been reincarnated as brain surgeons. And 9 distinct levels, it’s already impressive as an engineering feat. But, after we learned more of how it was designed, I thought it really revealed how amazing it was. 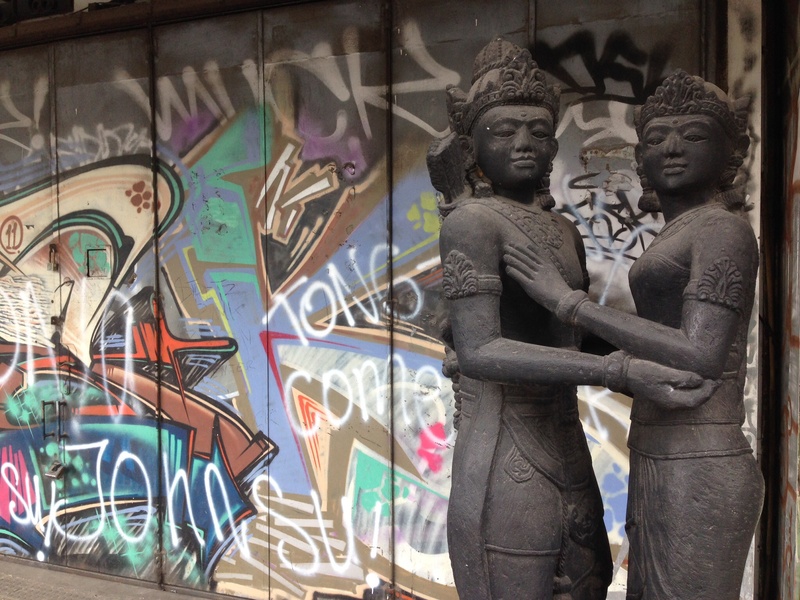 Buddhism often comes off as one big paradox (ex. You can be everywhere and nowhere or You can only achieve enlightenment by not wanting to achieve enlightenment.) In print these sayings sound hokey, frustrating and cringe-worthy, largely because they’re simple and self-evident. 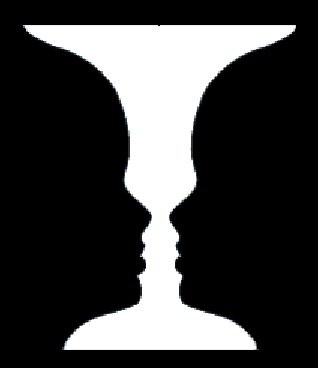 One second I see the vase, the next second the people. When I translate this to reading, I think, yeah okay, I get it. Now what? And, of course, that’s it – there is no other point. 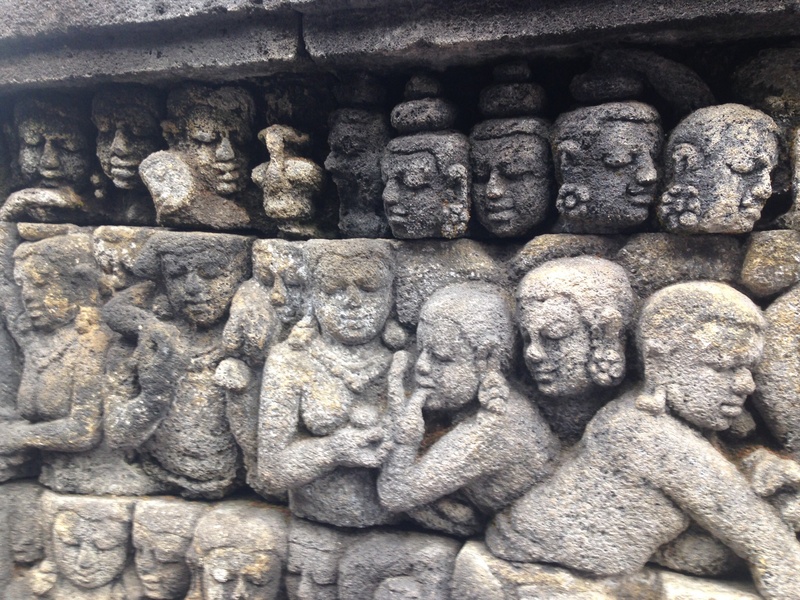 Borobudur, I found, works along similar lines. The architects created a showpiece to Buddha which interweaves two strands of Buddhist mythology into a single structure. First, the more obvious one, that we could witness from the ground is that the whole structure is one big storyline of the Buddha’s life, and his path to enlightenment. 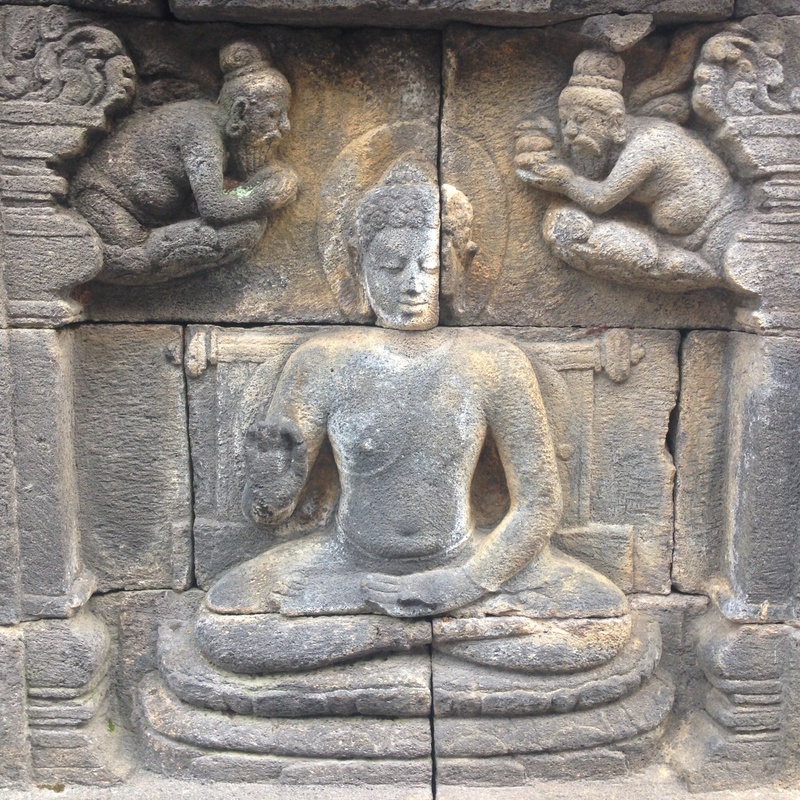 As a visitor you walk up the entire structure, one level at a time, and as you rise you pass through a stage of Enlightenment that the Buddha experienced, represented by the sculptures around you. However, good Mr. Siddhartha decided against a career as a rock star, and so passed into the World of Forms, which starts on level three of the structure. Rose and I weren’t exactly clear how the sculptures we looked at represented a form since it seems fairly self-evident (any old sculpture could be seen as a form), but the general concept is that at this stage, Buddha had meditated his way into seeing the world as having only shapes, “Oh wow that thing is shaped like a tube (a tree)”, which I can’t help think, if he’d tweeted his discovery today ex. : “My keyboard is only rectangles”, he’d be tranquilized and force-fed anti-psychotics. After his geometry phase, he then passed into the Formless World, where – as Lauryn Hill would much later make us aware – everything is everything. 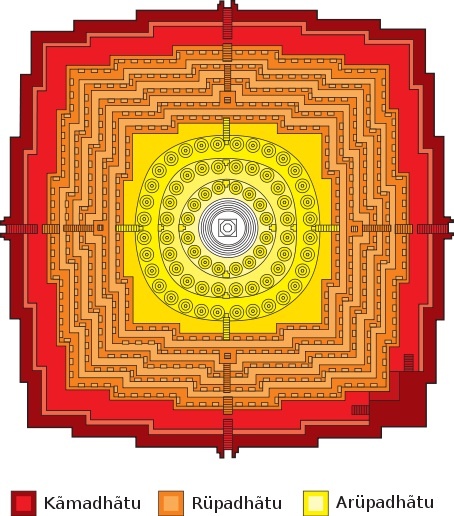 This two dimensional image, called a mandala in Buddhism, represents the universe – where the outer walls are squares, symbolizing humans’ attachment to linear concepts of time, followed by inner circles where time is seen as cyclical. 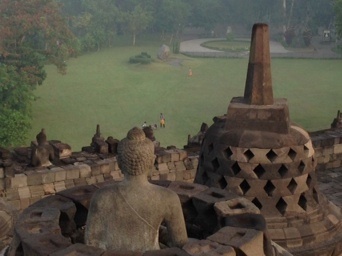 But a mandala, like the architects who built Borobudur, is overachieving. It also serves as a practical map or guide, which a Buddhist can bring to mind during their meditation to help them, as a reference point to focus on moving towards the center where all is one. Le joke. 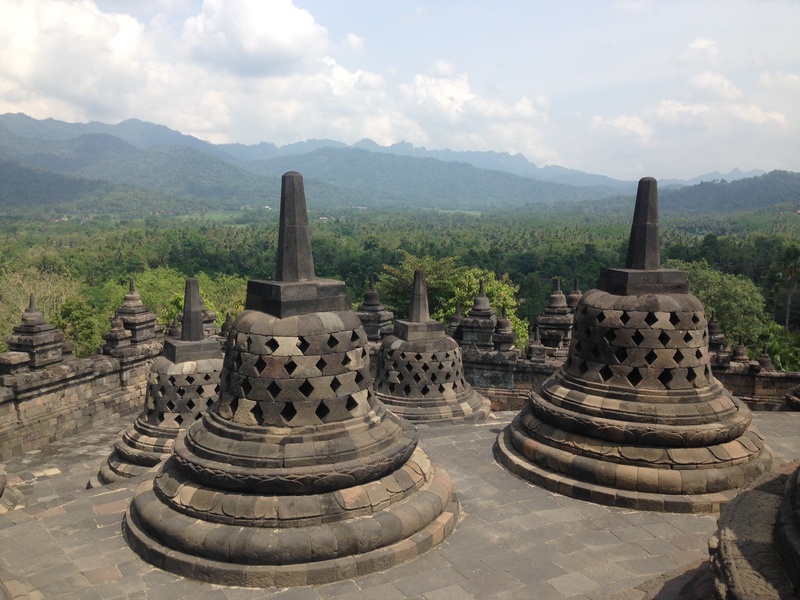 Borobudur is a UNESCO world heritage site (yeah, that’s back too), and they seem to be making decent enough money as it’s consistently referred to as Indonesia’s biggest tourist attraction, so haven’t felt the need to raise cash from any modern enhancements. However, they did offer some help a few years back. There were three shots at restoring the structure. 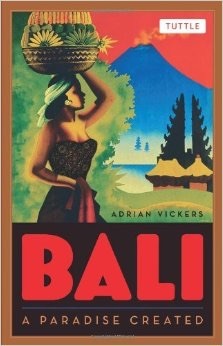 First, in the early 1800s when it was “re-discovered” by a British colonial administrator. Secondly, by the Dutch 100 years later; and finally, in 1973 when UNESCO got involved. There’s a museum on the same grounds which illustrates how they did the last restoration – from the photos and explanations it was basically one massive jigsaw puzzle. The builders took out almost every single block, labelled it, cleaned it up – then reinforced the entire structure with concrete and an updated water runoff system, and put the whole thing back together again. We were staying at a hotel that was within the grounds of the structure, and were lucky enough to have a two minute walk to it from our room. So, we returned three times to walk up and down it – it was really cool to see. Next to Angkor Wat, it was definitely a major standout of our entire trip so far. But we weren’t done with massive, old monuments. 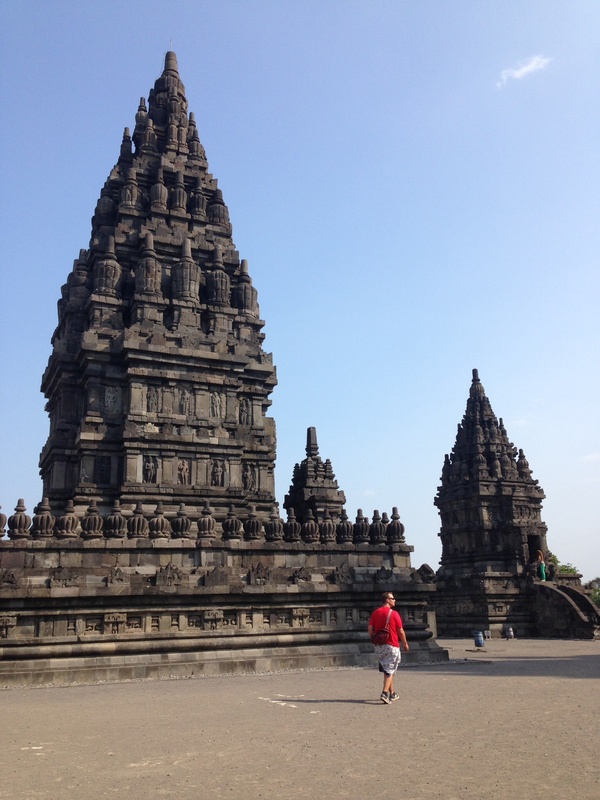 Indonesia is not only home to big Buddha, but also big Hindu, all within the structure of the biggest Muslim population in the world. 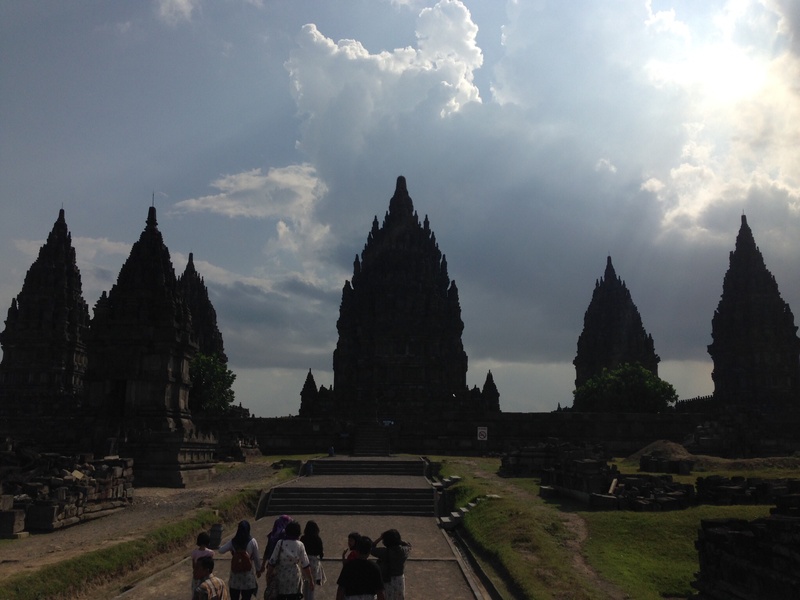 Next – el Grande, Prambanan.